The final three groups await their fate in the live finale. Special performances by Boyz II Men, Bobby McFerrin and others. Finally!! 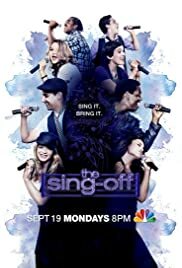 A singing competition show 4 the best genre - a capella. The judges are actual, tried & tested, vocal music pros. The groups are exactly that, groups. There's a sweetness and a genuineness in watching a group do their thing! People keep saying it's a spin off of Glee + Idol. Well, I see it as the best of both shows without the weird "drama". This is music competition at it's best; just vocals, no hired session instrumentalists, no stoned judges playing "good cop - bad cop", no irky* chest hair... I respect that there's an audience for all that but if you just wanna see guys sing their butts off, this is it! The show's season is not too long or too short - I think there's about 10-12 two hour episodes per season. Brilliant!! I think voting should start slightly earlier - the final 4 or 5 group. AfroBlue should not have left the show this season (2011). They were not the best but I think they were better that 2 of the 3 finalists. That's just me. If voting had started earlier, they would still be on.